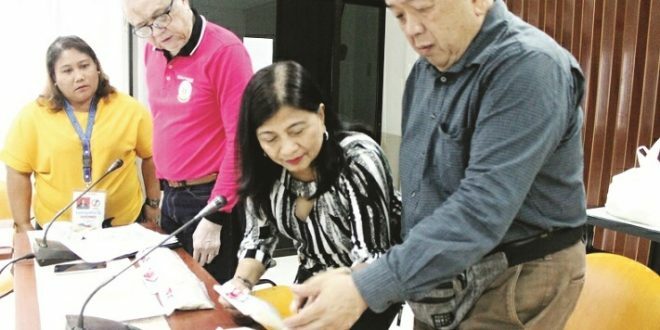 THE Cagayan de Oro City Price Coordinating Council yesterday called on the National Food Authority to go strict in the implementation of the Philippine Grains Standardization Program and go after violators in the city. The coordinanting council’s vice chairman, lawyer Jose Edgardo Uy, made the appeal even as he presented his observations on the monitoring conducted by the the NFA and the city council’s committee on trade, commerce and industry chaired by Councilor George Goking. He recommended the immediate imposition of penalties against erring rice dealers in the city who have violated laws. Uy said there were many violations during the inspection of rice warehouses and retail outlets in the city conducted in Feb. 21 and Feb. 22. “Our main objective is to determine the level of inventory (and prices) of commercial rice in Cagayan de Oro in the light of the reported shortage of NFA rice in the market. Ang inspection was to determine the availability of supply of commercial rice… in the process, the violations were noted by us at CPCC,” he said. Aya Venture Corp. on JR Borja St.
Uy recommended strict monitoring by the NFA of rice traders’ compliance to the grains program and other applicable regulations. He also called for a consistent checking by the NFA of the practice of some rice traders to mix low quality rice with high quality rice. Uy said violators should also be exposed in public.